The 1982 season had already proven to be a highly emotional and dramatic year for F1 by the time it arrived at Hockenheim. The early part of the year had been overshadowed by driver strikes and political wranglings of the FISA-FOCA war as battle reigned for control of the sport, culminating in most of the British teams boycotting the San Marino GP. 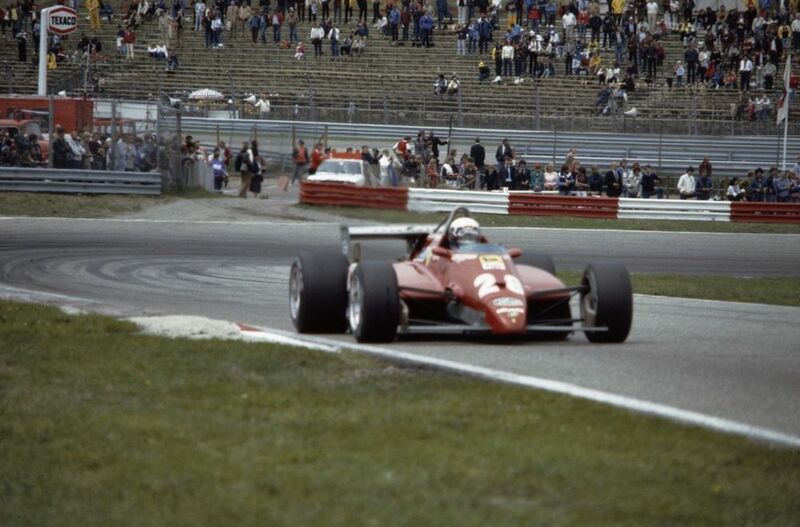 Two drivers had also died that year - Gilles Villeneuve at Zolder, and young Italian rookie Ricardo Paletti in Canada. In amongst it all had been some excellent racing, but at the 12th race in Germany, things were about to take another turn. A wet qualifying session saw championship leader Didier Pironi put in a lap good enough for pole, yet he continued to try and better his time. Disaster struck and, unsighted in the spray, he crashed into the back of the slow-moving Renault of Alain Prost. 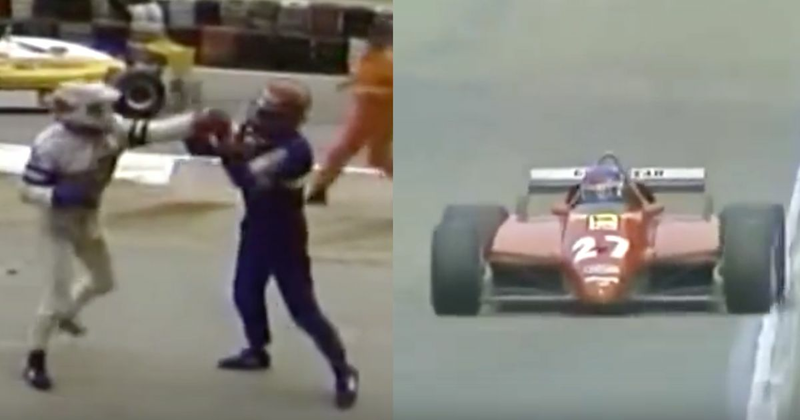 The Ferrari was catapulted into the air and Pironi’s legs were destroyed in the crash. He would never race again. The incident had psychological ramifications for Prost too, who claimed he was haunted by the crash and never felt comfortable again driving an F1 car in conditions of limited visibility. Pironi’s slot on the grid was left empty for the start of the race, the guys who had been a second-off his blistering pole lap were the Renault’s of Prost and Rene Arnoux, with defending champion Nelson Piquet’s Brabham and Patrick Tambay’s Ferrari on the impromptu second-row. 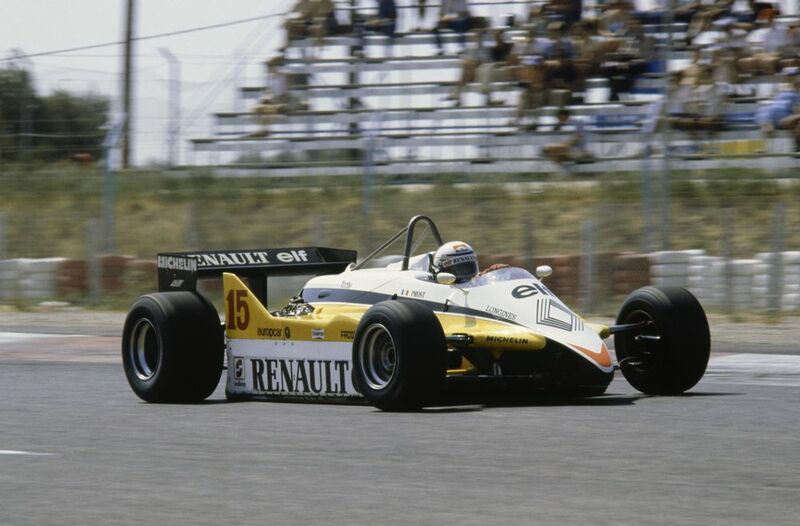 The race looked to be Nelson Piquet’s to win up until he went to lap the Chilean backmarker Eliseo Salazar in the ATS. Salazar didn’t concede track position and collided with Piquet, who then famously lashed out at Salazar with a spot of kickboxing A fight followed between the drivers and went on for some time. Piquet’s retirement promoted Tambay to the lead - and the win. It was his first in F1 and an emotional one for him and the team who, as well as seeing Pironi’s career ended, had to deal with the death of Gilles Villeneuve earlier in the season. The team did celebrate Tambay’s victory as it had been revealed earlier in the day that Pironi wasn’t at death’s door, but there was a pall over the win nonetheless, a subdued victory. To clarify the extent of Pironi’s non-participation and life-changing injuries, even though he didn’t race in the German Grand Prix, he still left the weekend with a nine-point lead in the driver championship. Even at the end of the season he was still second, five points behind 1982 champion Keke Rosberg.